I can’t tell you how low this whole Chalara ash die back thing has made me feel, what makes it worse is I’m reminded of it every few yards. I’ve got a lovely ash tree in my front garden and there’s plenty here on the farm where the workshop is located. In Dorset, as in most of the country, they are one of our most common trees – so common I guess most of us are guilty of taking them for granted on a day to day basis. Ash is the unglamourous workman of native trees, without the romance and resonance of the ‘English’ oak, and not noticed at this time of year when the beech trees they often grow next to display their incredible Autumn colours. They don’t produce conkers for kids to have a relationship with them, or nuts for us to eat like walnuts and hazels. They are not even disliked in the way sycamore is – seen as an invasive weed (a pretty one mind you). Yet ash is everywhere; in our hedgerows, as a majestic stand alone tree in a park, hanging on inhospitable crags in rocky outcrops and growing in planted beech forests where they often self seed, compete and normally win the growth spurt race up to the light. 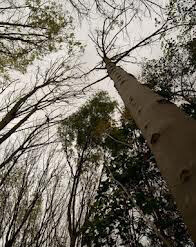 It’s one of the ash tree’s characteristics that it grows like the clappers, tall and straight in planted woodland. If it’s got space however it will spread out, old ash trees often have lots of character. Many of the trees I climbed as a child where ash now I think about it. As I said, the idea of watching the best part of 80 million trees slowly dying is utterly depressing to me, our landscape will be radically changed in a way that’s hard to imagine, but this may help… I have a friend, Ian who owns a farm in a deep valley on the south-east Devon coast, it’s beautiful. On his wall is a slightly faded photograph of the farm in the valley in the late 1960’s. It’s clearly the same place, but somehow entirely different because the dominant tree in the valley was elm, and they had a very distinctive colour, shape and look, like dark green candy floss on a stick. Sitting in his house you realise all the major beams are made of elm. It was an inherent part of people’s life there. Perhaps the greatest irony is the valley is green and mature trees flourish there again, but they are mostly ash! I don’t want to play a blame game, but it strikes me that if Chalara has been well known in central Europe since the late 1990’s, has effectively killed 90% on Denmark’s stock over the past decade and is now widely spread across the continent, why the hell were we allowing imports of saplings from infected areas at all. Ash self seeds like there is no tomorrow, it’s not as if it is hard to grow! As usual there is some kind of economic argument about it being cheaper to grow in Holland or wherever. It’s also cheaper to buy imported American ash and oak than buy native timber. That’s because we have lost our link with woodlands in this country, because we don’t place a proper value on them beyond a simplistic economic one. The import ban should have been in place years ago as this fungus spread across Europe. As an island with a natural sea barrier we may have stood a good chance of holding out, perhaps not, but virtually all the recent tree die-back cases have in some way had their origins traced back to an imported disease. What value should we really place on our trees and woodland – for their amenity value, for the way our environment looks, for all the amazing things we can make from them, for all the flora and fauna that intimately relies on them. For once it really shouldn’t be about bloody cheapest, and we all share a responsibility for that. I am, like many other makers similar to me, committed to using native timber in my work. It’s a noble thing to do, and not easy when the imported stuff is straighter, cheaper and probably a lot less hassle. The specialist timber industry has shrunk beyond belief in the past century. Our woodlands were once semi-natural factories producing charcoal, coppice materials, fine furniture wood and the beams that kept everything from our grandest buildings to mines shafts standing. Of course there are areas of woodland that need to be managed for amenity and probably need to be publicly owned, but there are also vast swathes of forest that need money coming into them – more than the cost of the odd bit of firewood, money to invest in their future and to pay for the people to look after and tend them. If that takes the romance out of the woods for you, sorry it’s time for a reality shot. Wood is the ultimate recyclable material. It grows all around us, for the most part it’s hard to stop it growing. That’s very different to the highly industrialized processes of producing metals and plastics. Everyone can understand the transition from a tree to the wooden components of a chair, would you be able to picture the same process for the components of a plastic and metal one? 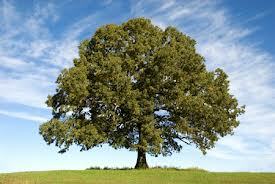 Wood requires very low energy inputs to produce and in its life time a tree will do endless good on so many levels. My friend David Colwell is probably the ultimate exponent of native ash. There’s not much David doesn’t know about it, or many ways he’s not tried to use it. His designs make the most of the ash trees inherent strengths and flexibility, he likes the fast grown trees that have had to compete to get to the canopy first, often steam bending components into elegant, strong structural forms. 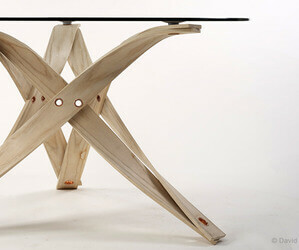 The end result is furniture which is achingly beautiful and deceptively simple. It also probably shows the lightness, colour and texture of ash at its very best. Have a look at the David Colwell website and judge for yourself, and while you do that remember it’s this wonderful tree, and wonderful material we may lose. Foresters are generally good at taking the long view, lets face it they’ve got no choice. But as far as I understand this fungus effects and discolours the wood as well as killing the tree, rendering it worthless. I guess no one is going to be wanting to transport logs around the country either if that risks spreading the fungus to new areas. So there may be a glut of ash logs coming down as foresters fell mature stands before infection strikes. Ash is already one of the cheaper hardwoods, a glut of logs on the market will reduce the price further. I love a bargain, but not under those circumstances. I recently heard on a Radio 4 a programme that the Drax Power Station in Yorkshire is converting from burning mostly coal to mostly bio fuel – wood to you and I. This one power station, the first of potentially many, will burn more wood waste / bio crops than we can produce as a country so the vast majority will need to be imported! It’s a mad mad world. I can see pros and cons of burning wood based fuels, but this seems hair brained to say the least. The saddest thing is they will probably have a ready supply of ash for the next decade! Ash to ashes, hitting an all time low.